OH MY GOODNESS. So freaking proud of this little baby – it’s the new e-course I wrote for Jess Van Den over at Create & Thrive, specifically aimed at makers in business who want to get all their ducks in a row (and their branding right). [This] latest class on branding is amazing whether you’re just getting started in business, or have been doing this for a while. So yeah, I know I wrote it and all and of course I reckon it’s pretty darn good, but you really can’t beat testimonials like that. 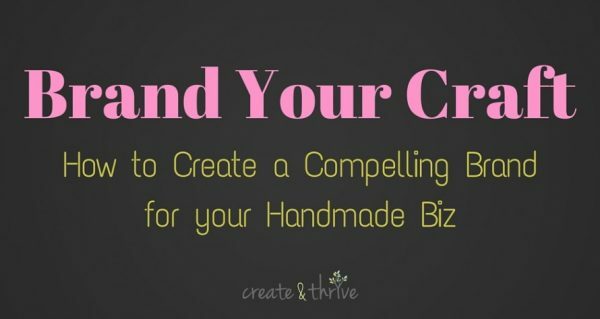 If you run a handmade biz, you’ll love it. Promise. It’s a $65 investment, runs for 14 days, with one lesson per day delivered in written format.